The incident occurred while he was involved in the hijacking of a car months after the alleged murder. THE SUSPECT IN a Cavan murder investigation suffered a traumatic brain injury while trying to escape gardaí after a hijacking. The hijacking occurred months after the murder that’s at the centre of the ongoing trial. The detail of why the man has not been charged came to light at the Central Criminal Court on Friday morning during the trial of a mushroom picker who is accused of impeding his prosecution for the killing by simulating the suicide of her housemate almost four years ago. The 34-year-old Latvian woman is charged with impeding the apprehension or prosecution of the man, knowing or believing him to have murdered Antra Ozolina (49) or committed some other arrestable offence. It’s alleged that Egita Jaunmaize placed a blue cord around Antra Ozolina’s neck so as to simulate her suicide in order to make it more difficult to establish that her death was suspicious. The mother of one, of no fixed abode, accepts that Antra Ozolina’s death was not caused by suicide and does not dispute that another named person caused it. However, she has pleaded not guilty to carrying out the impeding offence at their home at The Old Post, Main Street, Kilnaleck, Co Cavan on or about 27 or 28 June 2014. She told gardaí that she was in fear for her life at the time and acting on the orders of her housemate’s killer. Detective Garda James McDevitt testified this morning that the male suspect had also been arrested after the killing, but denied the allegations put to him in interview. He agreed with Giollaíosa Ó Lideadha SC, defending, that his general appearance and posture had been “brazen”. He agreed that this man had said that, had he killed someone, he would hardly be telling the interviewers. The man, who is now 31, had openly admitted to choking a woman, who had given a statement as part of the murder investigation. He said that she had accused him of being a “fag”, suggesting he was homosexual. He suggested that going for her throat was what any man would do, and said that he did it to “scare the sh*t out of her”. The detective agreed that the man had convictions for racist, neo nazi offences in his native Latvia. He also had convictions for robberies there, one using the threat of a gun, and two using the threat of a knife. He had been in custody until six months before he moved to Ireland, but had breached his release conditions by moving here, and a European arrest warrant had been issued for him. The detective also explained why this man was not before the courts, charged in connection with the Cavan killing. He referred to a an incident in Longford on 29 October 2014. The other male drove, while the alleged killer sat in the backseat with his leg pressed up against the woman’s neck. 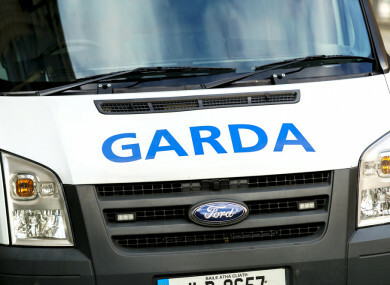 The gardaí pursued the car, while the men threatened the woman and demanded money. The hijacked car crashed and the alleged killer got out to run away. However, he was struck by a civilian vehicle with very considerable force, causing him brain and physical damage. “He suffered a traumatic brain injury and was in Beaumont for a number of months, before being transferred to a nursing home,” explained the detective, adding that his brain function was now limited and that he had lost the use of three of his limbs. The trial continues before Mr Justice Patrick McCarthy and a jury of seven men and five women. Email “Suspect in murder case suffered traumatic brain injury while trying to escape gardaí”. Feedback on “Suspect in murder case suffered traumatic brain injury while trying to escape gardaí”.